Hello! . . . Eliot here . . . let me introduce you to a new guest blogger here. Cecelia is a professional dog trainer and will be writing about training issues for your puppy/dog. She welcomes your questions directly to her business e-mail (listed below.) Cecelia is busy with her work so may not get back to you immediately and reserves the option not to answer directly but address your question/issue in an upcoming blog . . .
Hi my name is Cecelia Kuhn and I am the owner of CeCe's Kool K-9 Dog Obedience Training. I have been training for 5 years now professionally and I absolutely love it! I also train service dogs for people with disabilities who already have dogs with the ability to be a service or therapy dog. I am currently waiting to pick up my new German Shepherd puppy who is a Sophie/Huey pup from Rosehall German Shepherds. I will begin to train my puppy to be my own personal service dog. I will be doing my best to write weekly blogs about training dogs and my experience with my new puppy while we begin the obedience and service dog training and much more. But before I do that I would like start from the very basics! I would like to be able to help answer any questions you may have about training because it is very important to understand the importance of training your new puppy! The first thing you should know when you are planning on bringing a puppy home is to figure out if that breed is right for you! For example if you like the Boxer breed but like to be a couch potato then the breed would not be right for you because it is a very active breed that needs a lot of exercise! So before you decide on bringing home a puppy make sure you do your research on that breed because every breed has different qualities and characteristics and decide which breed will fit best in your family. Second, once you have picked out the puppy you want to add to your family and you are ready to bring him/her home make sure you are prepared. Just like when you bring home a baby you want to make sure you have your house puppy proof. Just because they have paws doesn't mean they can't get into trouble! So be sure small objects are put out of reach. Also be sure you already have what you need for your puppy. (i.e. crate, puppy food, bowls, appropriate chew toys, harness, leash, etc.) When picking out a crate make sure you have the right size for your puppy. If you are planning on crate training your puppy make sure that the crate is just big enough for your puppy to be able to stand and turn around. But it should not be too big where your puppy can just go lie down in the corner if he/she has an accident. A question I get ask a lot as a trainer is "when should I start training my puppy?" Well the answer to that question is as soon as you bring your new puppy home! You can never start too early! I hope you enjoyed reading this blog and that you continue to tune in each week to learn something new. Next I will be getting into the importance of training and the basics of training a puppy once they are in your home! 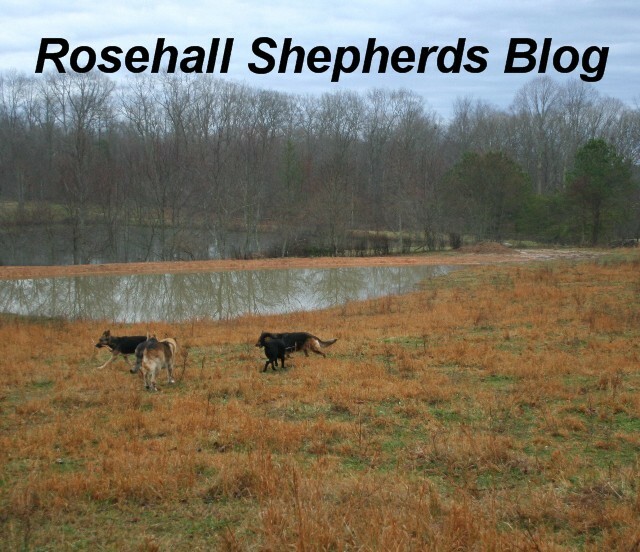 Given permission to post on Rosehallkennel websites.